The upstream industry includes offshore and onshore activities including wellhead automation, fractionation, completion, and separation to recover and prepare underground or underwater crude oil and natural gas. As petroleum is brought to the surface, it must be separated prior to transport. Primary and secondary separation stages commonly distribute gas flow, water flow, and oil flow in three phase separation. Gas movement requires pipeline and can include a fractionation process in the upstream stage prior to movement. Liquids can be placed into a tanks or pipelines and sent for processing, requiring accurate level measurements. Oil and gas wells are being drilled to greater depths and are distributed over ever wider areas, necessitating the adoption of increasingly complex technologies. Costs have risen proportionally. To help keep costs under control, it is essential to prevent equipment failures that can lead to unplanned downtime. Unplanned downtime disrupts production plans and hurts the bottom line. The high availability of Yokogawa products prevents oil & gas fields from unplanned downtime, saving you money and increasing the safety of your process. At the heart of the Yokogawa CENTUM series of distributed control system (DCS) systems is a unique “Pair and Spare” controller architecture, consisting of a redundant set of CPU modules, each of which is equipped with dual microprocessors. 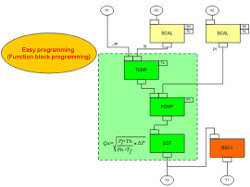 These two processors continuously compare their output and initiate a bump-less switchover if any mismatch is detected. By such means, CENTUM series systems attain an availability of 99.99999% (seven 9s). 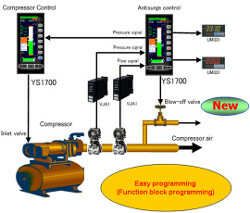 Other Yokogawa products such as the STARDOM RTU follow a similar design concept, utilizing the same error check and correct (ECC) memory found in high-end PCs and featuring twice the normal memory capacity to facilitate the long-term storage of gas volume data and other on-site information. This helps reduce downtime, improves system reliability, and increases maintenance efficiency by eliminating the need to travel to remote well locations. All of the hardware and software in the CENTUM series field control stations (FCSs) were developed by Yokogawa. With our knowledge of these systems inside and out, we have what it takes to help you maintain 99.99999% availability. With features such as a 256 MHz 32 bit RISC processor, the FCN-RTU is an evolution of the field proven FCN/FCJ architecture, delivering both high performance and low power consumption. This low-cost model has four serial I/O ports and one Ethernet port, and thus meets the minimum requirements of SCADA applications. Oil and gas companies are trying to stay competitive and become more profitable. One way this is being done is through the application of field digital technologies for enhanced performance. 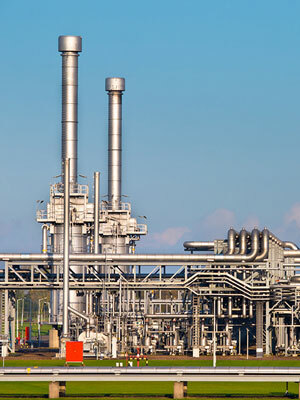 Yokogawa's highly accurate and stable field digital technology gives oil and gas companies a competitive edge by reducing unplanned downtime and eliminating the need for travel to field sites. Yokogawa provides a path for migration to this state-of-art technology. Yokogawa started developing field digital technology in earnest with the release of its first FOUNDATION fieldbus™ compliant products in 1998. By being a leading advocate for the definition of FOUNDATION fieldbus™international standards, Yokogawa is playing a central role in the optimization of operations by reducing the need for field wiring, allowing the introduction of intelligent field devices, and improving the management and diagnosis of digital field devices. 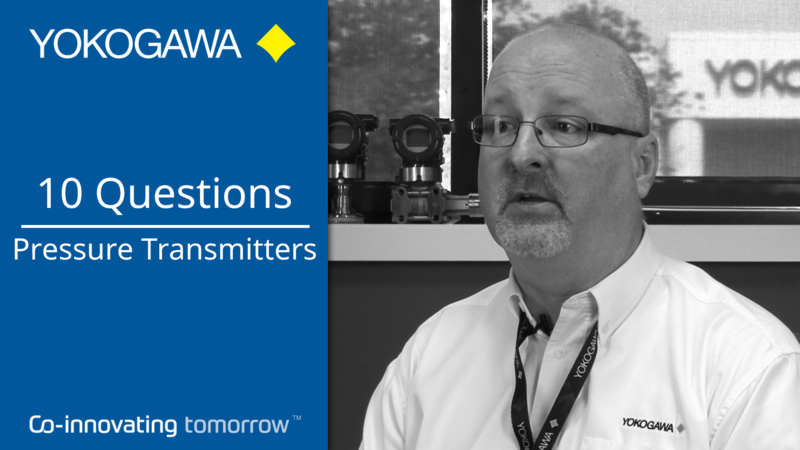 Yokogawa wireless technology takes all the time and effort out of adding measurement points. Transmitters can easily be installed in locations where the installation of wiring is physically difficult and/or prohibitively expensive. The linking of sensors over a wireless network greatly improves the efficiency of monitoring while optimizing both power consumption and communications, and so maximizes measurement availability. 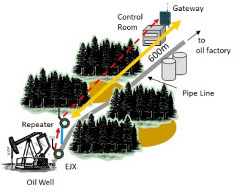 The integration of wireless measurements over a wide area network facilitates the flow of field information to the control room, where it can be visualized and managed by Yokogawa’s FAST/TOOLS SCADA system. The introduction of digital technology in gas and oil field operations can help to optimize production, improve operational safety, and protect the environment. An added benefit is the ease by which these digital technologies can be deployed. 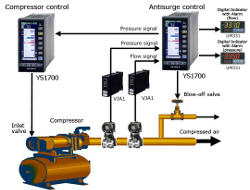 As Yokogawa’s STARDOM RTU and hybrid PLC can control both analog sensors and digital sensors at the same time, no longer is there a need to install a gateway or set up a dedicated network or some other type of field network using Modbus, FOUNDATION fieldbus™, HART, DNP3, or DeviceNet. 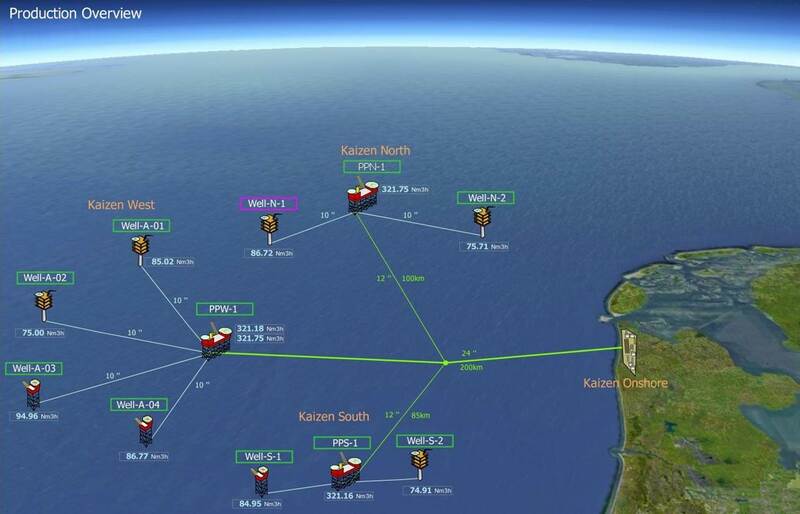 So, a step-by-step upgrade to a digital field network can be achieved. Manned and unmanned wellheads are often distributed over a wide area and connected by many types of communications infrastructure. Integrating such complex operations is a key contributor to improved efficiency. Yokogawa offers an integrated human machine interface (HMI) that enables unified monitoring and alarm handling. It makes the system easier to operate, results in fewer operator errors, improves safety, and reduces training time and expense. A Yokogawa unified gateway station (UGS) supports native network connectivity with Yokogawa intelligent RTUs (STARDOM) and PLCs that use technologies such as Modbus (TCP/RTU), OPC, and EtherNet/IP, allowing both unmanned and manned wellheads to be easily integrated. As the graphics from different networks all have the same CENTUM VP look & feel, operators only need to learn how to use the CENTUM VP HMI, making the overall system much easier to operate and handle alarms. UGS also complies with all types of communications such as single and dual-redundant communication networks for STARDOM, Modbus and EtherNet/IP. Only simple programming is required to build a highly reliable system with an additional UGS. UGS has the following features for unified operation and monitoring environment on HIS. 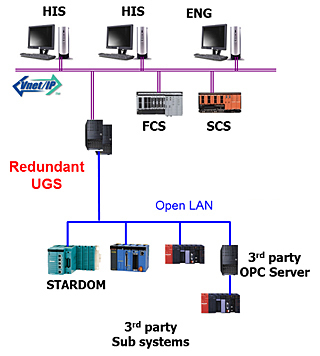 UGS works as a gateway between CENTUM VP and subsystem controllers. UGS operates and monitors subsystem controllers in the same way as a CENTUM VP field control station. The management of offshore oil & gas fields is moving towards integrated operations using integrated data across disciplines and business domains. By integrated operation, upstream oil & gas company is challenging increased complexity in unconventional and remote environments. Integrated operation is achieved with integrated system. Tightly integrated system changes the way to work and enhance decision making quality and speed. Enterprise Automation Solution (EAS) is a solution that delivers real-time and historical automation information from the plant or field to the enterprise level for analysis, research, asset monitoring, and control of distributed automation systems. In order to improve safety, production and efficiency, people need to have the best possible information in a way they can work with. EAS delivers the right automation-related information to the right people at the right time to make the right decision. Offshore exploration and production requires maximum uptime under harsh conditions. Manned and unmanned facilities need reliable integrated control and safety systems (ICSS) with advanced remote monitoring capabilities. Yokogawa has state-of-the-art technology and extensive experience in executing offshore projects of all sizes and levels of complexity. A one-team approach by BP and Yokogawa was achieved by managing the business relationship in an open, performance-focused, and collaborative manner. HART communication is a means of transmitting multiple signals by superimposing long-standard 4-20 mA DC analog signals on digital signals. 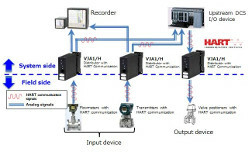 The figure below is an example of connecting field instruments and upstream devices using HART communication compatible VJA1/H signal conditioners. Partnering with Saudi Aramco, Yokogawa is providing local project execution including testing and implementing a continuing policy of Saudisation.